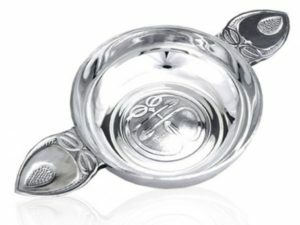 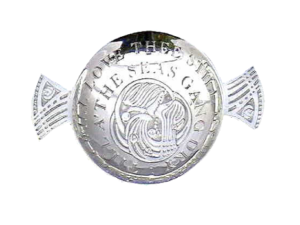 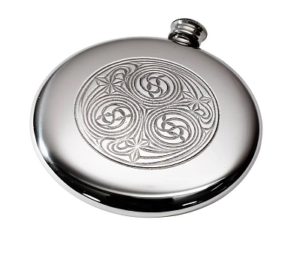 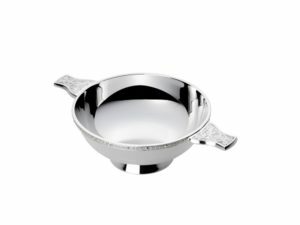 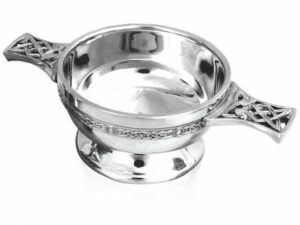 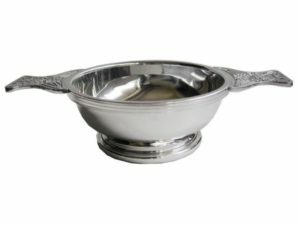 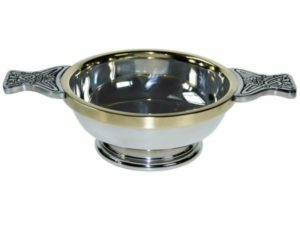 Our pewter quaichs are hand crafted to the highest standard and you will find a comprehensive range of sizes and styles suitable for a wide range of occasions. 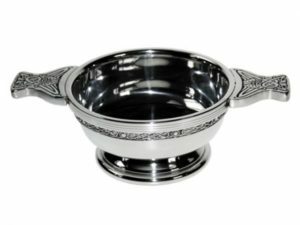 Pewter has been used since the Bronze Age and was used widely by ancient civilisations with extensive use in medieval Europe. 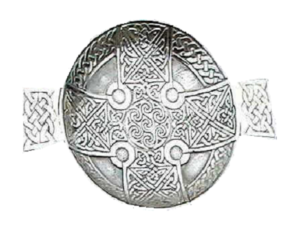 Pewter is the 4th most precious metal consisting of 92% tin. 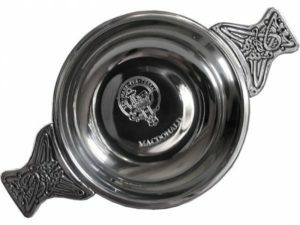 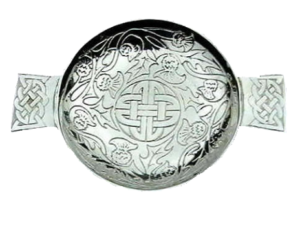 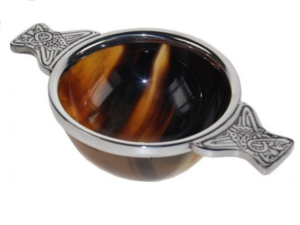 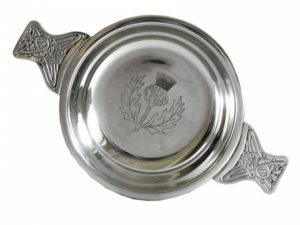 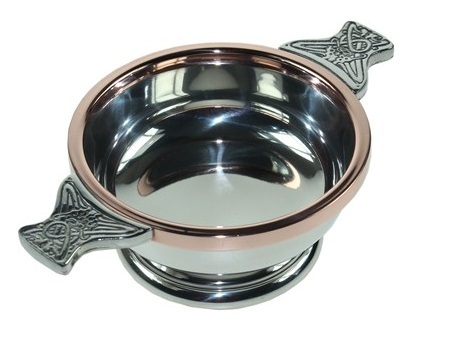 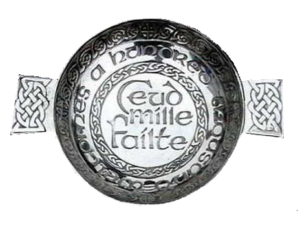 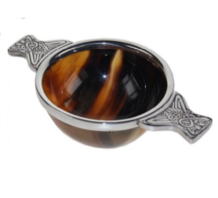 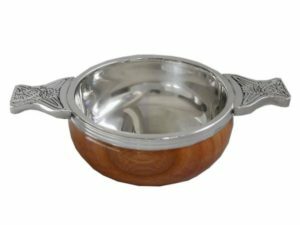 Pewter quaich with solid celtic handles and knotwork band.